Each month, NB Online will bring you a new product our customers tell us they can't get enough of from RNIB's online shop. RNIB sells over 1000 practical products to help people maintain their independence and keep them doing the things they love most. 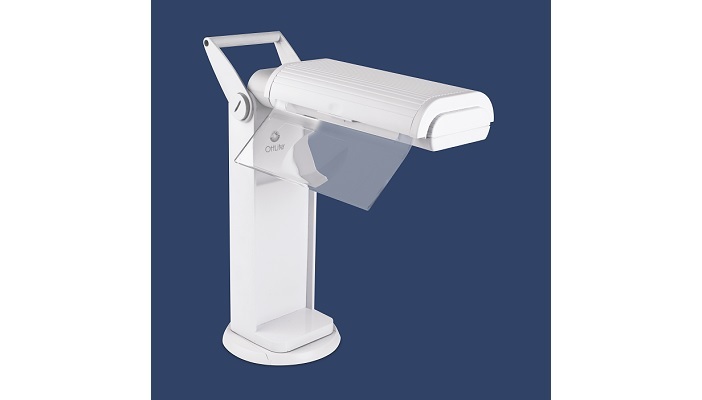 With a 360-degree swivel base and multi-position shade, this portable magnifying task lamp lets users adjust the light angle at whatever they might be looking at. A built in self-storing 2x optical grade magnifier slides to either side and the convenient carry-handle allows it to be taken anywhere. The lamp powers on and off when the shade is opened or closed and will last up to 10,000 hours. To find out more or to buy the portable task lamp, shop online.